We’ve found great deals at 1354 hotels! 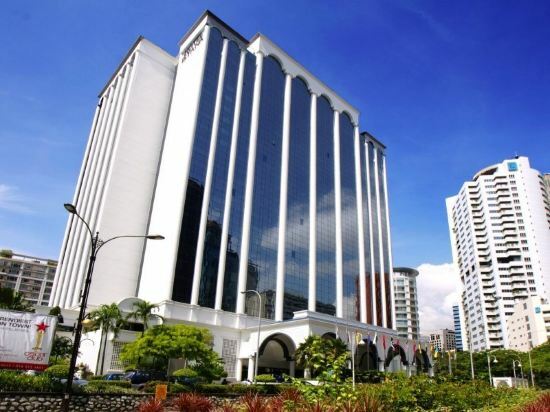 Sunway Putra Hotel Kuala Lumpur is located opposite Putra World Trade Centre (PWTC), within the city’s main commercial district. Key transportation services are easily accessible and free WiFi access is available in hotel rooms. 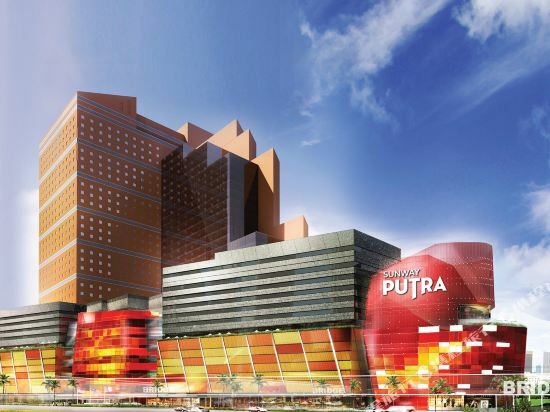 Sunway Putra Hotel provides a free shuttle service to Bukit Bintang and Suria KLCC, a 10-minute drive away. Kuala Lumpur International Airport is a 45-minute drive away. A free shuttle service to Kuala Lumpur Convention Centre and Bintang Walk is provided. Modern rooms and suites are elegantly furnished and come equipped with a flat-screen TV, minibar, tea/coffee maker and ironing facilities. En suite bathroom offers toiletries and a hairdryer. Guests can rejuvenate at the fitness centre with state-of-the-art selections of fitness equipment, or take a dip in the 25-metre long outdoor swimming pool. Coffee House serves authentic local dishes, signature Asian cuisines and tasty Western fares. Other dining options include the Japanese spread at Gen Restaurant. The Atrium Lounge offers a more relaxed setting with specialty coffees and pastries. Rising high from within Kuala Lumpur's Golden Triangle district in the heart of Malaysia's capital city, The DoubleTree by Hilton Kuala Lumpur hotel is 10 mins from the iconic Petronas Twin Towers, Kuala Lumpur Convention Center, tourist and shopping sites like Suria KLCC, Pavilion and Bukit Bintang. A 5-minute stroll under a covered walkway takes you to Ampang Park LRT metro station. All of the accommodations in this contemporary Kuala Lumpur hotel benefit from a variety of amenities and features. Enjoy breathtaking city or mountain views, LCD TVs, luxurious Sweet Dreamsa?￠ bedding and high-speed internet access. Celebrate in style or hold a unique meeting in our Grand Ballroom. At this Kuala Lumpur hotel, we offer creative catering facilities, the latest audio/visual equipment and a business center. Savour no less than six authentic local Malaysian cuisine, namely Malay, Chinese, Nyonya, Iban, Kristang and Indian specialities in Makan Kitchen, which features live, interactive kitchens and enjoy a variety of fine wines in our rustic winery, the Cellar Door bar and lounge. Swim in the outdoor salt water pool, visit China Town and dozens of other Kuala Lumpur attractions or improve your handicap on one of the nearby golf courses. Whether business or pleasure brings you to vibrant Kuala Lumpur, we look forward to welcoming you to the Doubletree by Hilton with warm Malaysian hospitality and our signature, warm chocolate chip cookie at check-in. We have completed converting the entire Hotel rooms and building with complimentary WiFi with speeds of 100Mbps, new 42 inches LED TVs with full HD are already in rooms, new in-room safes are already in room as well. Located on Jalan Raja Chulan Road in KL's "Golden Triangle," the Hotel Istana Kuala Lumpur is within walking distance to the city's business and shopping centers and entertainment hubs. Dewan Filharmonik Petronas and Craft Complex are also within close proximity from the hotel. Featuring traditional Malay design, the property offers well-appointed guestrooms and suites designed to suit both personal and corporate needs. All units are furnished with Malay arts and handicrafts, creating a harmonious combination of traditional arts and modern comforts. Guests can taste a variety of local, Japanese and Italian cuisines in the on-site restaurant or experience one of the best Malaysian buffets in town. They can also enjoy cocktails and snacks while listening to the melodic tones of the live band in the hotel lounge. The property offers several multifunction meeting rooms for hosting various business and social meetings. To relax, guests can make use of the recreational facilities provided. Opt for a refreshing dip in the swimming pool, work out in the fitness club or get pampered in the spa center. For a change of scene, Bukit Bintang is home to many landmark shopping malls, cafes, clubs and boutiques. A luxurious landmark in downtown Kuala Lumpur, Royale Chulan Kuala Lumpur offers 5-star Malaysian hospitality and a large outdoor pool with sun loungers. It has a gym, free Wi-Fi and free parking in the basement. 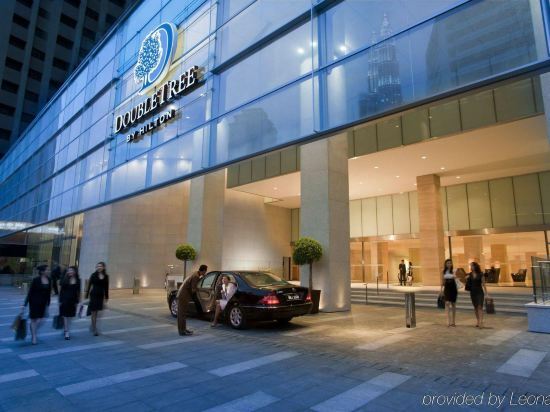 Within the Golden Triangle District, Royale Chulan Kuala Lumpur is less than 1 km from Pavilion Shopping Centre, Bukit Bintang and Kuala Lumpur Convention Centre. It is a 45-minute drive from Kuala Lumpur International Airport. Decorated in pleasant neutral shades, air-conditioned rooms offer the comfort of classic European-style furnishings and flat-screen TVs. Private bathrooms are equipped with a rain shower and bathtub. A hearty buffet breakfast at Warisan Cafe starts off the day. Other dining options include Chinese specialities at Tai Ping Restaurant, fine French dining at L'Heritage and authentic Malay dishes at Bunga Emas. Telega Bunga Spa provides relaxing massage treatments and a steam bath. Guests can also make use of the business centre and concierge services. 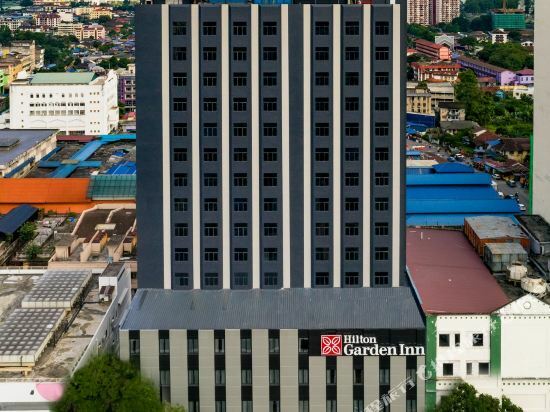 The Hilton Garden Inn Kuala Lumpur Jalan Tuanku Abdul Rahman North is a great choice for guests looking for accommodation in Kuala Lumpur, having been recently opened in 2017. This property features Free in-room Wi-Fi. The hotel is conveniently located just 3km from Dang Wangi and 32km from Sultan Abdul Aziz Shah Airport. Being just minutes away from Chow Kit Station Metro Station allows guests to explore the city with ease. Many local tourist attractions including the Petronas Twin Towers and Jalan Alor can easily be reached with a short drive. After a long day of sightseeing, guests can retire to the comfort of the hotel. This Kuala Lumpur hotel offers free parking on site. 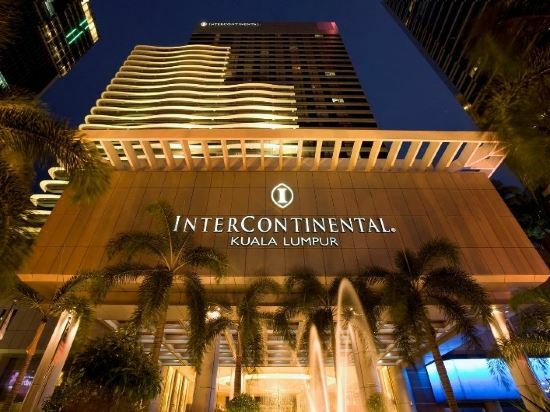 InterContinental Kuala Lumpur is convenient to the Petronas Twin Towers. The hotel offers shuttle buses to and from shopping malls and some tourist sites. All 437 rooms are equipped with European-style furniture. For dining options, this Kuala Lumpur hotel offers Japanese cuisine, Chinese delicacies, local dishes and other international selections. Kuala Lumpur is the capital of Malaysia. It is usually the first place visitors go to on their way to visit Sima, Langkawi, and Redang Island. Kuala Lumpur is known for its tall buildings and architecture done in all kinds of styles. Kuala Lumpur is a great place to sample cuisine from all around Malaysia. Those interested in shopping will be satisfied as well, as malls with international brands fill the streets of the downtown area. The city center of Kuala Lumpur is not big, and the most important sight is undoubtedly the landmark Petronas Twin Towers. For tourists, most of the main attractions can be visited in one day. 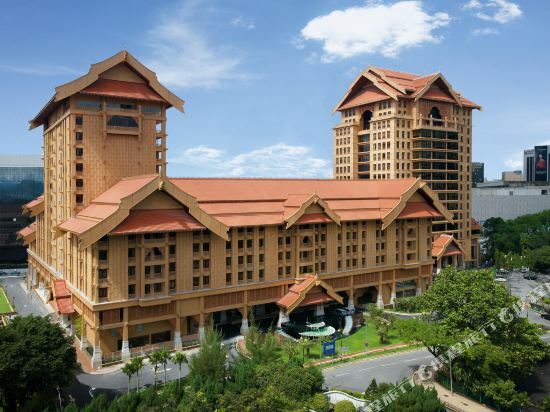 Resorts World Genting is a half-hour drive from the city center. It is the largest high-altitude summer resort in Southeast Asia. There are aerial cable cars, an amusement park, a strawberry garden, and other tourist attractions that attract visitors from near and far. Located 2 hours away from Kuala Lumpur, Malacca is the oldest historic city in Malaysia. It was once the capital of the Malacca Kingdom and was successively occupied by Portugal, the Netherlands, and the United Kingdom. Within just 1-2 days, visitors can generally make trips to all the major attractions in Kuala Lumpur. For visitors looking to plan a longer trip, it’s also a great choice to spend one day at Resorts World Genting and another day at the old city in Malacca. Located near the equator, Kuala Lumpur has a tropical maritime climate. Rainfall is abundant throughout the year. Most of the time, it’s hot and humid, and the temperature stays consistent throughout the year. Malacca is hot and rainy all year round, with temperatures ranging from 21 to 32 degrees. The state of Selangor which surrounds the federal territory of Kuala Lumpur also enjoys a warm climate with abundant rainfall throughout the year. There are many accommodation options in Kuala Lumpur, ranging from luxury star hotels to budget hotels. The price of Kuala Lumpur hotels are slightly higher than other cities in Malaysia. The Kuala Lumpur City Centre (KLCC) is home to a number of upscale hotels close to the main landmark of Kuala Lumpur, the Petronas Twin Towers. The Bukit Bintang region is mostly home to many mid-range hotels. There are many shopping malls and large department stores in the nearby shopping district as well. Cheap Kuala Kumpur hotels can also be found in Chinatown (Petaling Street) and their low prices often make them the first choice for backpackers. There are several hotels in Kuala Lumpur near the International Airport where guests who are transiting can stay for a short period of time.